Chili season is upon us! Don’t know what to do with leftover chili? Don’t let it go to waste and try one of these leftover chili recipes. Each of these leftover chili ideas will take you less than 30 minutes to prepare and healthy! Usually, chili recipes serve 6 to 8, which can be a little daunting for feeding just 1 or 2 people. 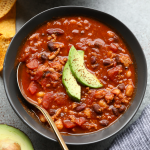 That’s why at Fit Foodie HQ, we like to mix things up on days 2 and 3 with leftover chili. We do this with most meals that we cook so that the food you eat doesn’t get super repetitive but is still time conscious and easy. Today we are sharing 4 leftover chili recipes so that you don’t get bored and also so you don’t waste all of that delicious chili. Plus, it makes you feel like you’re eating something totally different than the day before, even when it’s all derived from the same recipe! 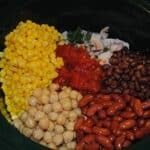 But first, check out a very basic chili recipe that would go PERFECT with any of these 4 leftover chili recipes. Looking for the best easy chili recipe out there? 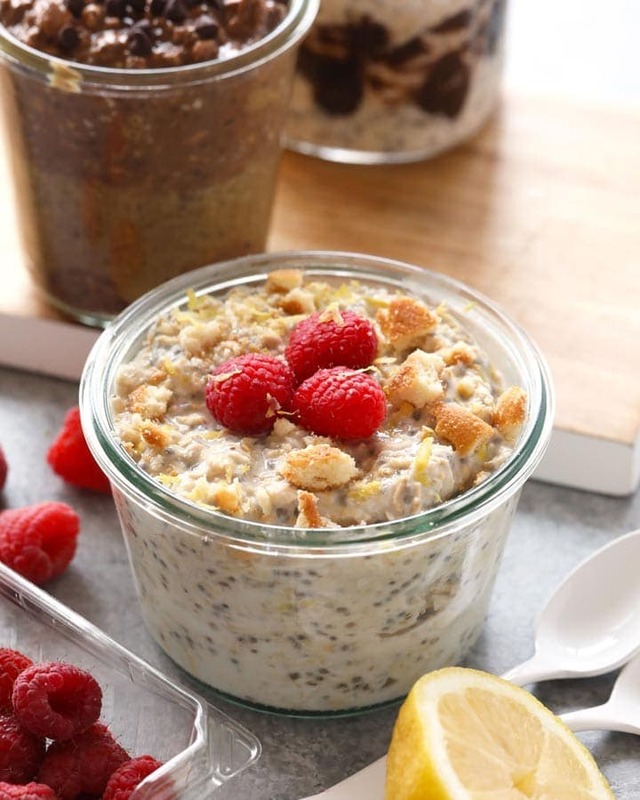 You’ll love this recipe because it’s made in less than 30 minutes and healthy! 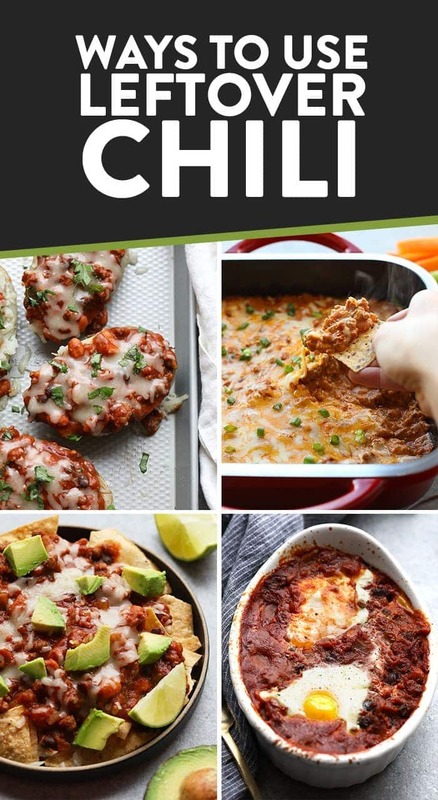 The best part is that you’ll probably have leftovers so that you can make of the delicious leftover chili recipes from this post! Place all ingredients in a slow cooker, and turn to high. Let cook for 4-5 hours. Or turn to low and let cook for at least 8 hours. Place olive oil in a large pot and turn to medium/high heat. Then, add in ground meat and saute until fully cooked. Add in the rest of the ingredients and bring to a boil. Reduce heat and let simmer for 10-15 minutes. Nutrition information includes 1 lb. ground turkey, 2 cans of black beans, and is for 8 servings. For this leftover chili recipe, roast up some russet or sweet potatoes and stuff them with chili and cheese. Your family will think you worked EXTRA hard on this meal when it was really a cinch! Pro tip: Wrap your potatoes in tin foil, poke holes in them with a fork, and roast them at 425ºF for 45-60 minutes or until they are easily pierced with a fork. We’ve got a famous Chili Cheese Dip on Fit Foodie Finds that everyone loves! Instead of following that recipe to a tee all you need is YOUR leftover chili, Greek yogurt, and shredded cheese! Add about 1/2 cup of Greek yogurt and 2/3 cup of shredded cheddar cheese to 4-6 cups of leftover chili. Mix and bake at 400ºF for 20 minutes or until the chili begins to bubble. Never had chili for breakfast? Here’s your chance! All you need to do is place about 1-2 cups of leftover (cold) chili on the bottom of a small baking dish, crack some eggs on top and bake at 350ºF for 45-50 minutes or until your eggs have cooked to desired texture. How can your resist chili nachos? It really is the best! Top your favorite tortilla chips (ours are Way Better Snacks Nacho Cheese and Garden of Eatin Red Hot Blues) with leftover chili, cheese, and any other toppings your heart desires! Pro tip: Make a family-sized batch of nachos on a baking sheet. Bake at 350ºF for about 15-20 minutes.